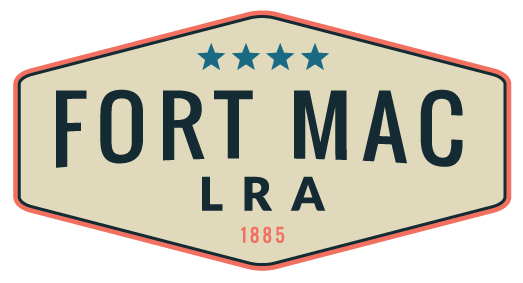 NOTE: When traveling to Fort Mac LRA’s office, please refer to the directions below and not your GPS. Go South on I-75/I-85. Approximately 3.5 miles from I-20, take exit 243 merging onto Langford Parkway 166 going West. 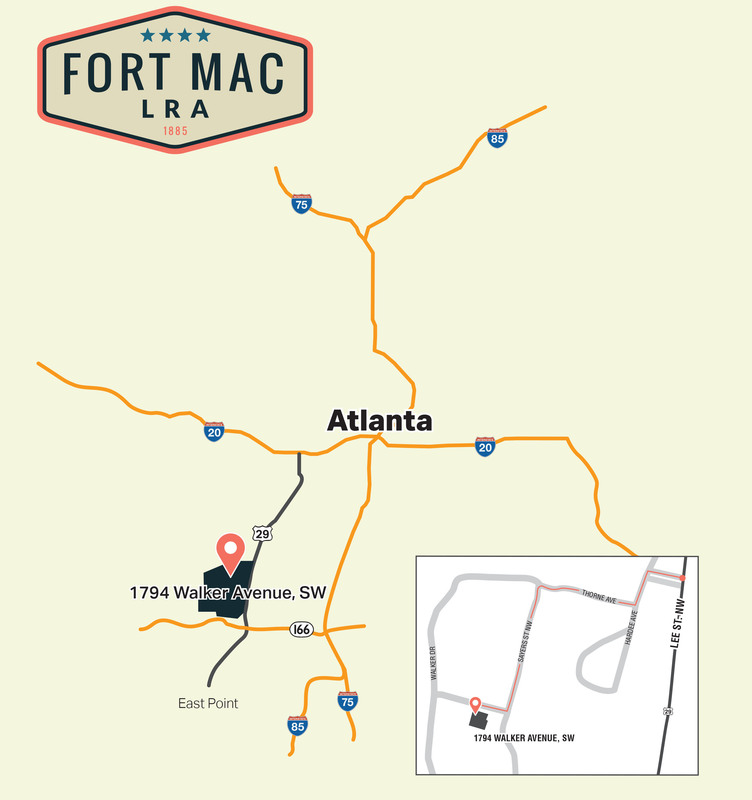 In approximately 2 miles, take the Fort McPherson exit, then turn right toward GA 154/29 North. In a short distance, you will dead-end at Hwy 154 or Lee Street. Turn Left onto Lee Street. Travel about 1/2 mile past the MARTA station and turn left to enter at the Lee Street Security Gate. After passing through the security gate, turn left onto Hardee Avenue, then turn right on Thorne Avenue. From Thorne, turn left onto Sayer Street, and then make a right into the Fort Mac LRA parking lot. Go South on I-285 (toward the airport). Approximately 4.5 miles from the I-20 interchange, take Exit 5A or Langford Parkway 166 East. Continue approximately 4 miles and take the Fort McPherson/East Point exit. At the stop sign, turn left. At the light, turn left onto Hwy 154 North or Lee Street. In approximately 1/2 mile, turn left to enter at the Lee Street Security Gate.